of smoke from incense burning. park deserted on this solemn, peaceful day. rotund hips of wild rose. 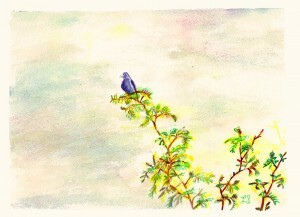 Watercolor based on photo by Nancy Smith, nature photographer and fellow birder. 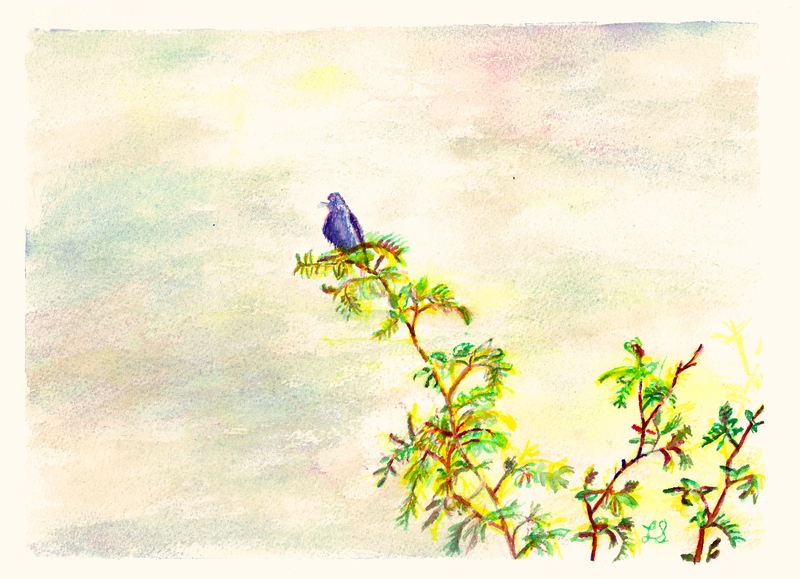 This entry was posted in Painting with poetry, Paintings, Poetry and tagged art, birds, nature, poetry on June 11, 2015 by Lainie.